Spectacular custom-built Lake Wisconsin home! 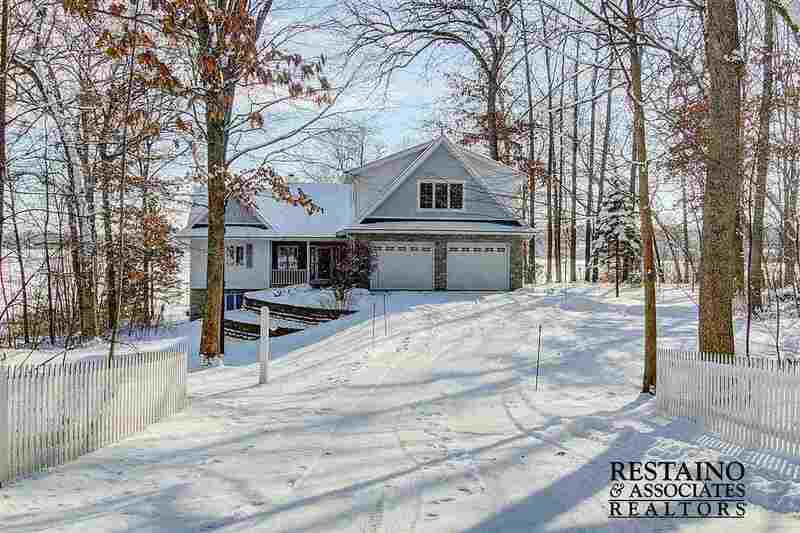 This incredible house sits on a large private wooded lot with 159 +/- ft of level frontage w/stunning views of the lake and surrounding bluffs. Features Include - an open floor plan w/vaulted ceilings, 1st floor master suite, Dybdahl gourmet kitchen w/granite countertops & subzero refrigerator, living room w/stone wood fireplace, a 4-season sunroom leading to an impressive deck, plus a 2nd level master suite w/custom shower & gas fireplace. Finished LL leads out to the lake, great fishing from the shore and double boathouse! Near Devils Lake & Devilshead Ski Resort.